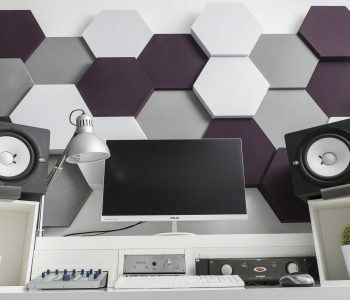 Sound absorption is important in many rooms. 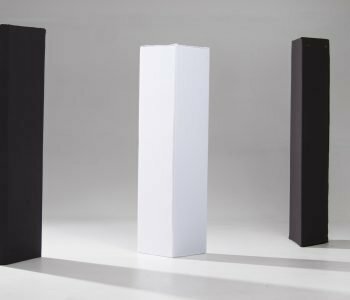 The pyramid absorbers can improve room acoustics, especially in the medium and high frequency range. 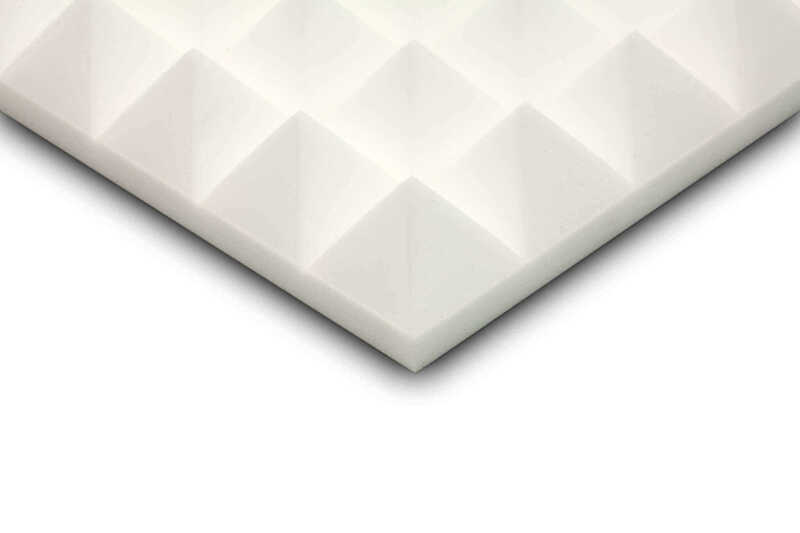 The pyramid absorbers consist of melamine foam, which has outstanding quality characteristics such as high sound absorption capacity and low weight. 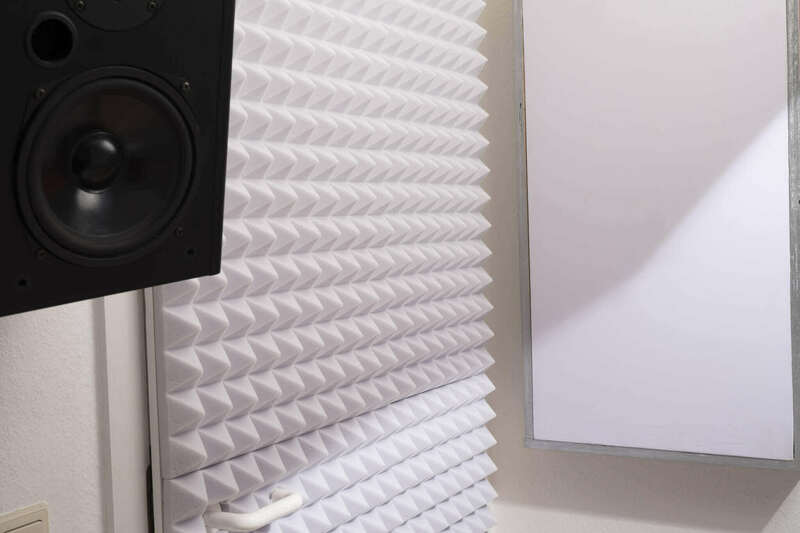 These advantages are due to the extensive application of the pyramid absorbers in the acoustics sector, for example, in sound studios, in the hi-fi area, large-scale offices, production and workshop facilities as well as event centers. 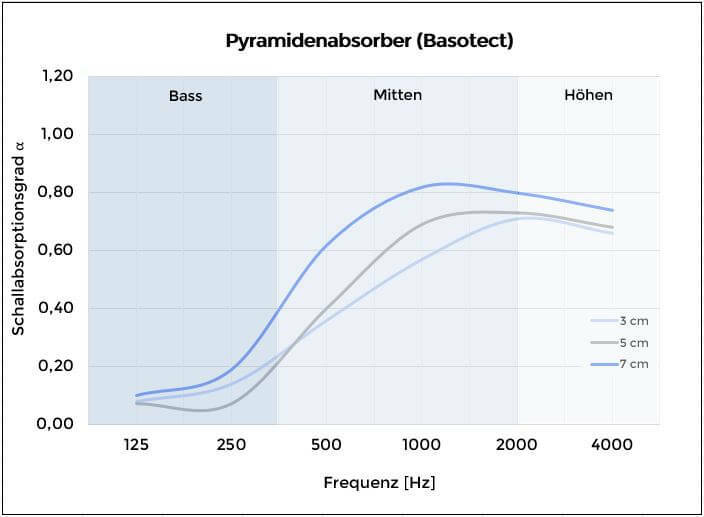 When used appropriately, the pyramids are capable of considerably reducing the reverberation time and the sound level, for example in halls. The oscillation of the air particles is thereby converted into heat energy by the pyramidal surface and special pore structure. 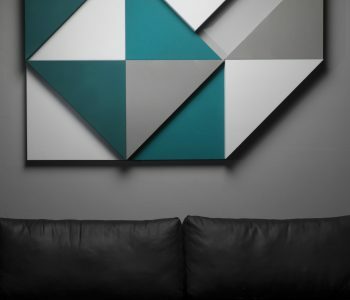 This pyramid absorber has the property of enormously shortening the reverberation and eliminating reflections.